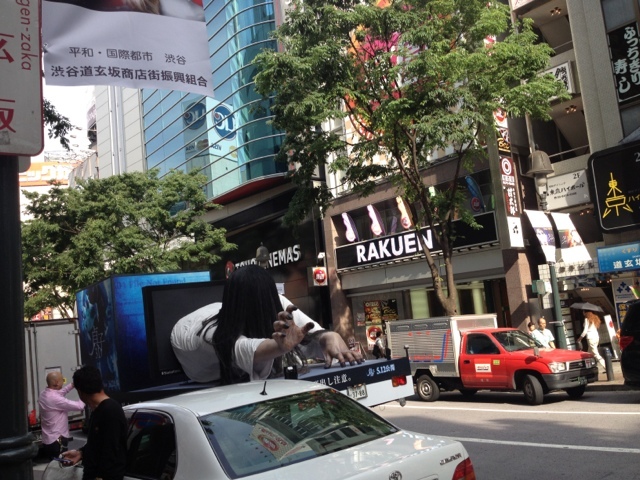 You will always see something different in Shibuya. 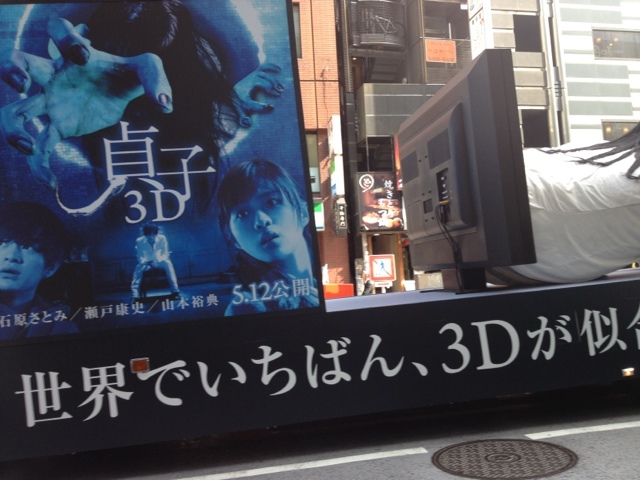 This is a truck to promote a new horror movie. 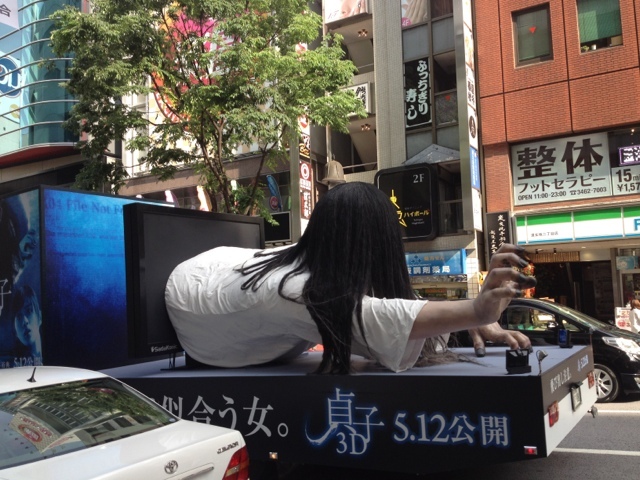 Sadako in 3D, the prequel(or sequel) of Ringu.